Benign prostatic hyperplasia (BPH) is the enlargement of prostate that is caused due to the overgrowth of cells called hyperplasia in the transition zone of the prostate. This is a non-cancerous condition in which other parts of the body are not affected. Also, BPH does not increase the risk of prostate cancer. 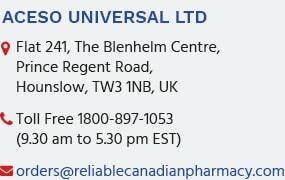 Get Generic benign prostatic hyperplasia drugs at cheap prices from ReliableCanadianPharmacy and use them treat and prevent symptoms of BPH.